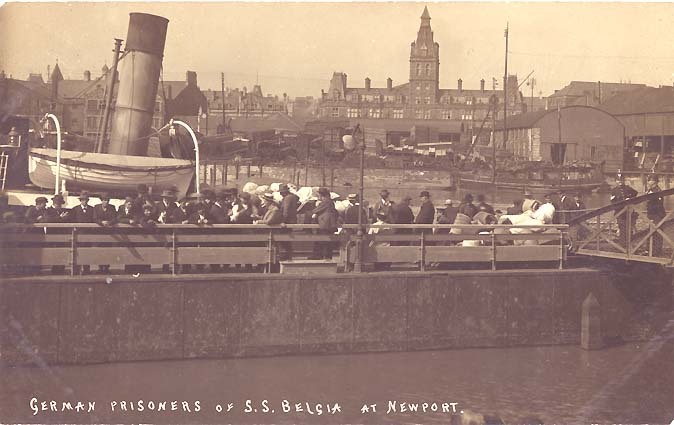 Gwent can claim to have carried out the first action of the war when, overnight on 4th/5th August 1914, policemen from Newport arrested the crew of the Belgia, a German liner anchored off the town’s new Alexandra Dock, and impounded the ship. 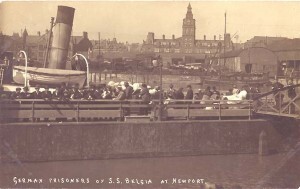 The liner, which was retuning to Germany from America, had entered British waters the before Britain declared war on Germany for fear of being sunk by the French navy in the English Channel, France already being at war with Germany. The ship was re-named the Huntstrick and became a British merchant vessel. It was sunk off Morocco in 1917 by a German U-boat while carrying stores and troops to Salonika. 15 lives were lost.